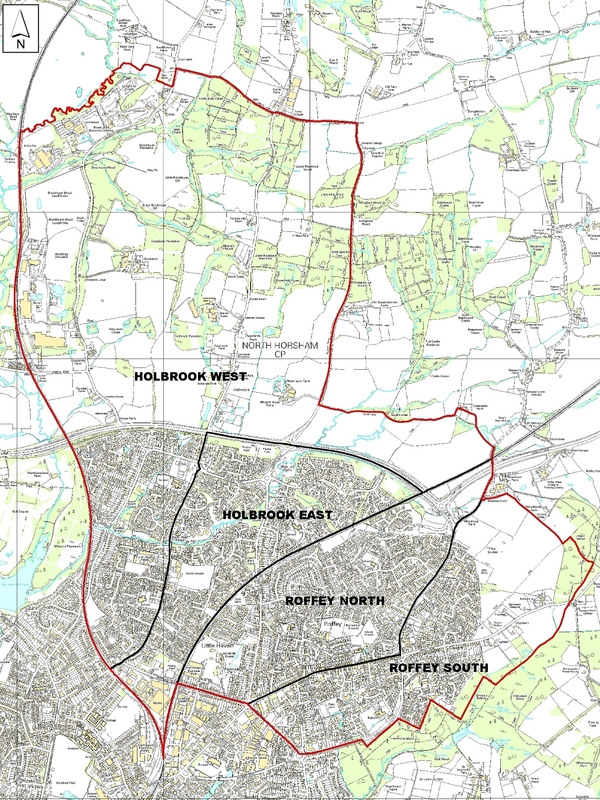 The Parish Council consists of nineteen Parish Councillors representing four Wards – Holbrook East (5), Holbrook West (4), Roffey North (6) and Roffey South (4). The map below shows the Ward boundaries. Click on a link in the drop down menu to see the Councillors for each Ward.